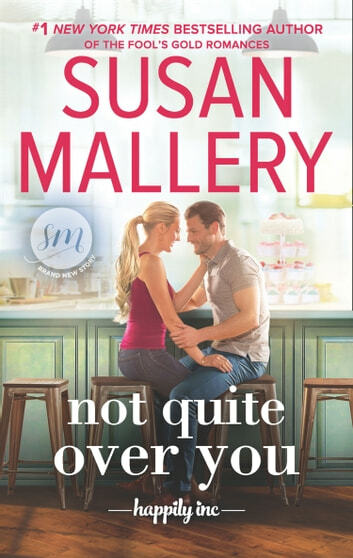 #1 New York Times Bestselling Author Susan Mallery welcomes you to Happily Inc, where true love isn’t just for fairy tales… ‘The perfect feel-good read’ Sarah Morgan on You Say It First Silver Tesdal has a head for business and a mouth made for kissing, and banker Drew Lovato has his eye on both. But ever since he was dumb enough to let her go, she’s kept him at a distance. 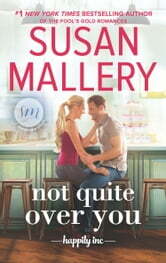 When the bank turns her down for a loan, Drew sees a double opportunity—he can finance her brilliant, unique idea to rock Happily Inc’s wedding industry and win back her trust. Despite her reputation, Silver’s not as tough as she seems. Losing Drew nearly destroyed her. Still, his kisses are as tempting as his offer to invest in her business. If she can’t quite get over him, maybe she should get under him and knock him out of her system once and for all. But her best laid plans begin to unravel as Silver finds herself falling even harder than when they were high school sweethearts. Which means that she’ll have to come clean about the secret she’s been hiding from him for years—and risk losing him forever.